The best possible natural bristle is bleached to a pristine bone appearance. 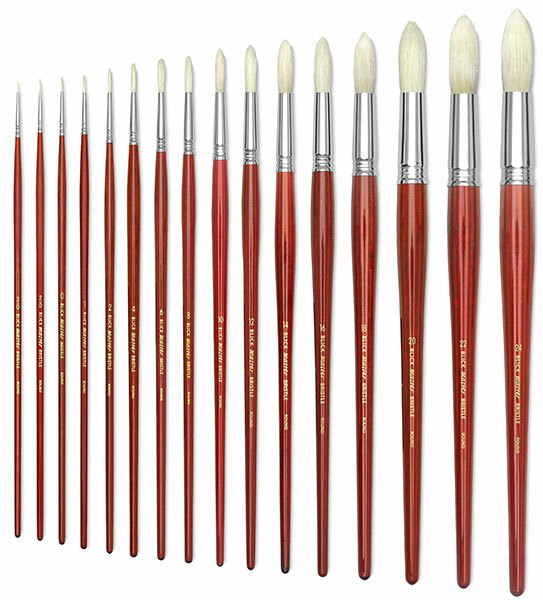 Blick's Master Bristle is made a bit tougher than our Studio Bristle to satisfy more physical painters. Gluing is done by hand to ensure the best possible hair retention. Each brush is formed carefully and fitted to master molds, guaranteeing that the brush you buy today will match the one we hope you will be buying from us 10 years from now. 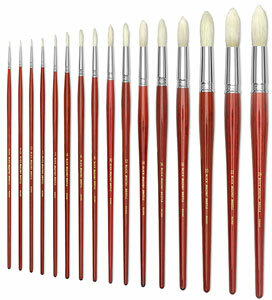 Lifetime Guarantee — When properly used and properly cared for, Blick Master Series brushes will last a lifetime. If at any time you are dissatisfied with the materials or performance of a Master Series brush, you may return it to Blick for a replacement.